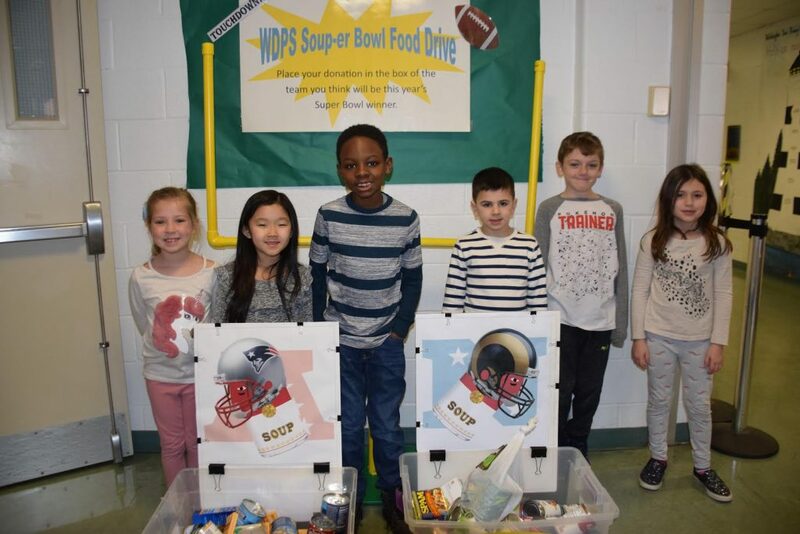 On merely the first day of Washington Drive’s fifth annual Soup-er Bowl food drive, the school came together and managed to fill two whole buckets of canned goods for local Harborfields Central School District families in need. To promote a bit of friendly competition, students were encouraged to bring in food to fill the bucket of the team they believe will win the Super Bowl. The drive, which runs from Jan. 27 to Feb. 1, has a goal of surpassing last year’s whopping 300 cans. Throughout the week, the morning announcements will include which team has the most cans, motivating students to bring in more the following days. The cans will be donated to the food pantry at Washington Drive. This fundraiser is part of the Acts of Kindness Committee, run by co-chairs Alyson Elish and Jennifer Pennisi, and is comprised of teachers who organize and run fundraisers throughout the school year. The co-chairs of this committee are Alyson Elish and Jennifer Pennisi.